you still have another one to use! 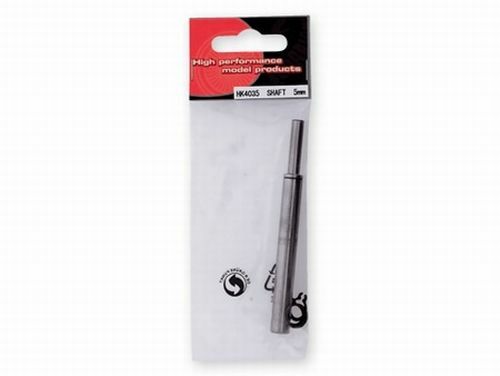 The shaft for the HK-4035 series motors measures 8mm in diameter, and is 86mm in long. to install 6mm pinion gears. The shaft kit will also fit other brushless motors that require a 5mm shaft of this length. tool and a cut-off wheel if necessary to fit other motors. Note: The shafts in the Scorpion motors are a slight press fit into the aluminum front housing. The shafts will not just slide out when the setscrews are removed.